The context: In 1986, Licensed To Ill made a trio of smartass New York punks into unlikely pop stars with a multi-platinum crossover smash, a notoriously disastrous gig opening for Madonna, a hit single ("Fight For Your Right") they seemed hugely embarrassed by, and a troublesome following of frat boys and jocks who missed the irony and humor behind the album's cheeky celebration of dumbass aggression. So they did the punkest thing possible for a huge-selling act. They parted ways with the label (Def Jam), producer (Rick Rubin), rap-rock sound, and macho vibe that made them accidental teen idols. Then they moved to California, smoked a lot of pot, and became putty in the hands of a pair of sample-crazed sonic mad scientists called The Dust Brothers for the 1989 kaleidoscopic masterpiece Paul's Boutique. 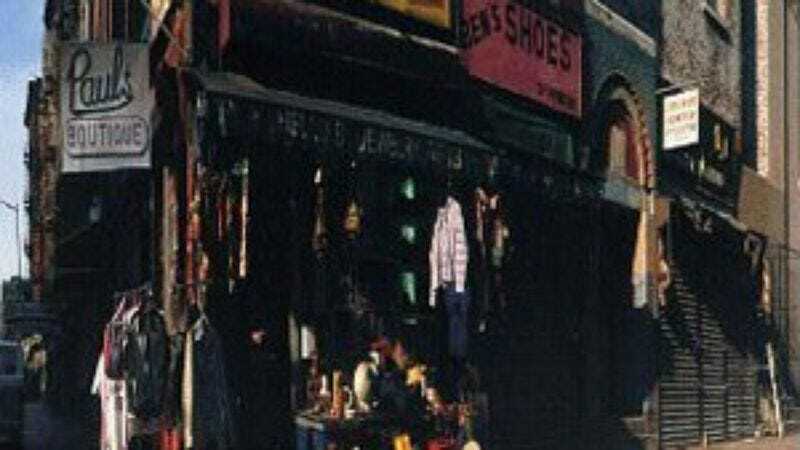 The greatness: Paul's Boutique is an exhilarating missive from the golden age of sampling, a halcyon time when the rules regarding sample clearances were fuzzy, and enterprising producers didn't have to worry about filing mountains of paperwork just to clear a five-second sample from a half-forgotten 45. In a stealthily punk move, Beastie Boys let their nasal whines and old school tag-teaming become just another element of The Dust Brothers' heady sonic stew. Beneath the Day-Glo sonic collages, pop-culture riffing, and goofy '70s nostalgia lies the urgent sound of three restless young men breaking free of the strictures of pop formula and developing a funky, oddball aesthetic that would yield huge creative and commercial dividends in the decades to come. With Paul's Boutique, the Boys stopped being pop stars and became artists. Defining song: Beastie Boys' Herculean new sense of purpose—who says weed kills ambition?—is perfectly encapsulated in the disc-ending "B-Boy Bouillabaisse," an epic, 12-and-a-half-minute mini-suite rife with East Coast and old-school nostalgia. After 14 tracks of California dreaming, "B-Boy Bouillabaisse" finds the trio looking longingly back to New York with a serious case of homesickness. Listen close, and you can hear the parameters of hip-hop growing by leaps and bounds.